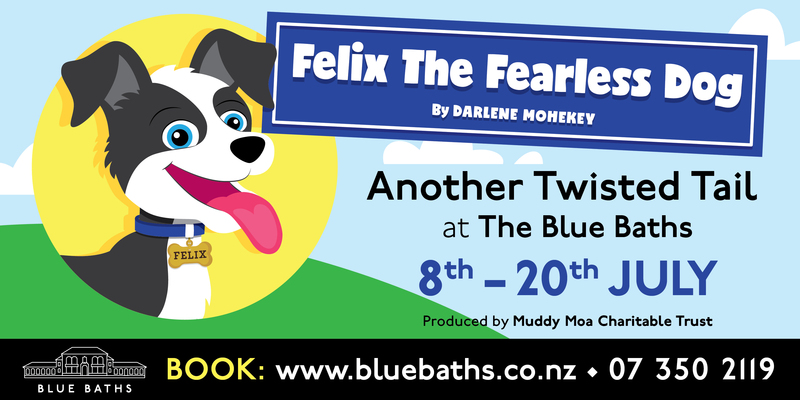 Felix The Fearless Dog – Family Show July School Holidays! We keep getting asked when we’ll be doing another hilarious show for families and we’ve heeded the call! Our pantomime is back! If you thought Pirate Blue, Lady Lollipop, Dexter & Buttercup were out of this world, then Felix is going to blow your mind! Join us on Fly-Valley Farm for another amazing adventure! This time it’s Felix the farm dog who’s ruff and ready to take on an important expedition. Brave, smart, kind and fierce – Felix will lead you on an exciting escapade full of song, dance and pure joy… but he’ll help you learn a few important lessons along the way. Kiki the kiwi has been having trouble at school. Her “friends” haven’t been very friendly and she hasn’t been concentrating at school… and one morning she just didn’t turn up at all! Has she run away? Has she met with the wrong crowd? Is she in danger? With his super sniffy nose and crafty cunning, Felix has just the ex-paw-tise needed for this remarkable rescue mission. A fascinating fable full of birds and bugs, insects and grubs – it’s a real creepy crawly crusade! This one’s gonna be barking mad. Daily shows; Monday 8th July through to Saturday 20th July 2019. Available on arrival – Popcorn, Slushy’s and Ice-Cream!